The most common questions I get on the blog are about individual credit scores and none are more frequent than the 650 FICO score. FICO doesn’t release its credit score data but I would put good money on a bet that the 650 credit score is one of the most common among American borrowers. So what can you do with a 650 credit score? What are your options on loans and how will your score affect other parts of your life? We’ll look first at understanding what a 650 credit score means before getting to the options you have for the money you need. 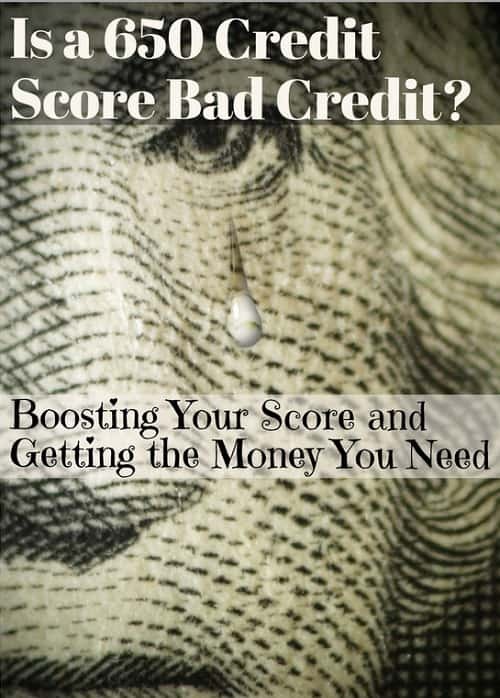 We’ll also look at how to boost your credit just a little bit to put you in some of the highest scores among borrowers. How Many Americans Have a 650 Credit Score? Credit scores range from 350 to 850 though I’ve never seen one below 429 or above 800 FICO. 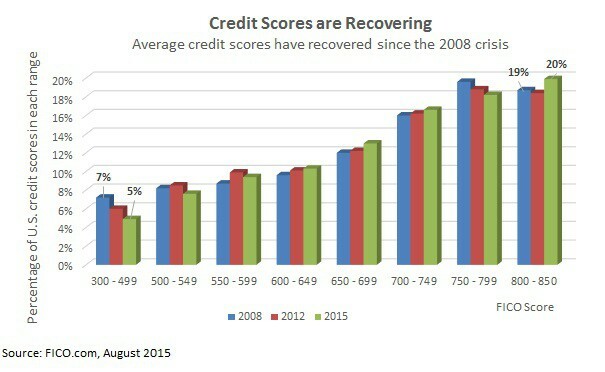 Credit scores are recovering since the financial collapse destroyed the scores of most Americans (ahem, raises hand) but there are still a lot of borrowers locked out of fair lending. Approximately one-in-three borrowers have scores below 650 FICO while just over half have scores above the 650 to 699 FICO range. How Many People Have a 650 FICO? That range is important because it includes the 680-cutoff score for what’s called prime lending and a good credit score. Most traditional banks are prohibited from lending to sub-prime borrowers, people with less than a 680 credit score, for certain types of loans. That means a 650 credit score isn’t necessarily bad credit but it won’t get you the best rates when you go to get a loan and you might have trouble getting any money from certain lenders. Is a 650 Credit Score Considered Bad Credit? A 650 credit score is generally considered ‘fair’ credit. You might have a few missed payments on your credit report or might just not have built up much credit yet. Is a 650 Credit Score Bad Credit? It does mean you’ll probably have trouble getting a loan from a traditional bank or credit union or getting one with affordable rates. Banks have strict requirements for credit scores because the loans need to qualify to sell to investors. One of those qualifications is usually that borrowers have ‘prime’ credit scores above 680 FICO. A 650 credit score doesn’t mean you’re locked out of getting the money you need but it does mean you need to know where to look. How to Get a Loan With a 650 Credit Score? Your best strategy with anything above a 600 credit score is going to be to boost it into prime territory above 680 FICO but that’s not always going to be possible. It will take you between six months to a year to increase your score that much so let’s look at some options if you need a loan now. I’ll also cover ways to increase your credit score in the next section so be sure to read below to get your score above that prime-cutoff. A debt consolidation loan is going to help you do both, get the money you need and increase your credit score so let’s start there. A consolidation loan is where you take out one loan to pay off all your high-interest rate loans like credit cards and auto loans. It usually lowers your monthly payment because the interest rate is lower and makes it easier to manage your debt. There are a few other benefits to consolidation loans that make them great options. Paying off revolving debt (credit cards) with non-revolving debt from a personal loan improves the ‘types of credit’ on your credit report. Lenders hate revolving debt so paying this down helps to improve your credit. Paying just one bill a month means you’re less likely to forget a payment and destroy your credit score. Since you can use a personal loan for anything, you can borrow more on a debt consolidation loan than you need to pay off the loans and use the rest to keep from borrowing more debt. I’ve used PersonalLoans.com twice for a loan, once for consolidation and once for a home improvement loan. The website specializes in helping people with bad credit and charges no prepayment penalty on personal loans. The site is more of a loan aggregator, meaning it shops your loan around to different lenders to make sure you’re getting the best rates. It doesn’t affect your credit to apply because the site uses a soft pull of your credit first to estimate your rate so check a few different sites before committing to a loan. Upstart is another good option for borrowers with a 650 credit score because the loan site uses a special lending model for people with no credit. Upstart was created specifically for college graduates that have low credit scores only because they have no credit history. The site may not work as well if you have bad marks on your credit report but it’s worth a try because rates are lower than most other sites. If you have a college degree, I would definitely start here first. NetCredit is an option if neither of the other two sites approve you for a loan. The website specializes in short-term loans for bad credit borrowers and just about anyone can get a loan as long as their credit score isn’t extremely low. Rates are going to be higher but the regular payments will help improve your credit history to the point you can refinance the loan at a lower rate. If you have a 650 credit score, you only need a little bump to get better rates from more lenders. Depending on your credit history, getting those 30 points to reach prime lending may take six months to a year to get there. If your credit score is low because you don’t have much credit history then you might be able to boost your FICO faster. All you need is to start building credit with regular payments on credit cards and other loans. If your credit score is low because of bad marks on your credit report, it might take a little more work but it’s still easily achievable. Dispute any errors on your credit report by writing to the credit bureaus. You might even be able to get some legitimate bad remarks taken off your report if they are old enough and you say you don’t remember missing the payment. Pay down your revolving debt on credit cards. This is the worst kind of debt and accounts for up to 15% of your credit score. Use a consolidation loan or just make extra payments when you can. Ask for a credit limit increase to improve your credit utilization ratio. This doesn’t mean rush out to charge more, it’s only to show lenders that you have credit available and aren’t scrambling for quick money. You do have options with a 650 credit score but the world will open up if you can boost your FICO just a little bit. A 650 FICO will get you decent rates on personal loans but you still might have trouble getting a mortgage or refinancing at the lowest rates. Use a consolidation loan to increase your score and you’ll qualify for prime lending in less than a year.